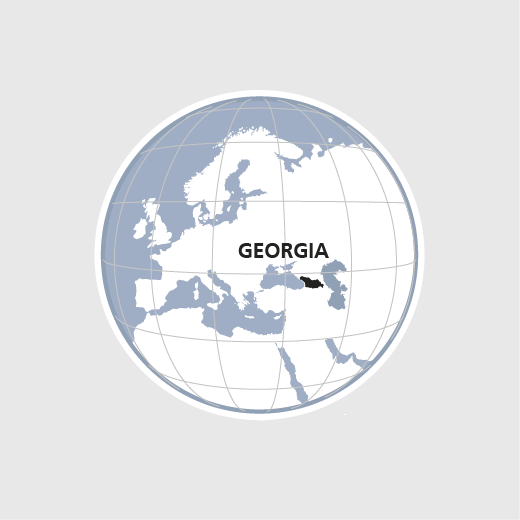 The HEKS/EPER Programme in Georgia is part of the South Caucasus Regional Programme. It strives to foster peaceful coexistence and improve living conditions in rural areas through income-generating activities and by empowering civil society. To boost their crop yields and incomes, smallholders broaden their knowledge of organic farming and improve their access to infrastructure, micro-credits and markets. And to strengthen social cohesion, HEKS/EPER supports its partner organizations in building a network which, in collaboration with opinion leaders, media and civil society organizations, provides its members with neutral information about politics, society and the current conflicts in the South Caucasus. In South Caucasus, HEKS/EPER helped some 5400 fruit and milk producers increase their income in 2017. 560 young people developed a joint vision of peace through constructive dialogue. Open, vibrant and socially engaged churches effectively attract members and fulfil an important role in society. HEKS/EPER therefore supports the youth and community work of church parishes in Eastern Europe and the Middle East, and contributes financially towards the renovation of buildings that are important to church life. HEKS/EPER also promotes solidarity among the Reformed Churches. Partnerships between church parishes in Switzerland and abroad pave the way for reciprocal visits and exchanges and promote support for projects run by partner parishes. Dialogue within the reformed community and with other confessions as well as between church and society enables the Reformed Churches to play an intermediary and social role.